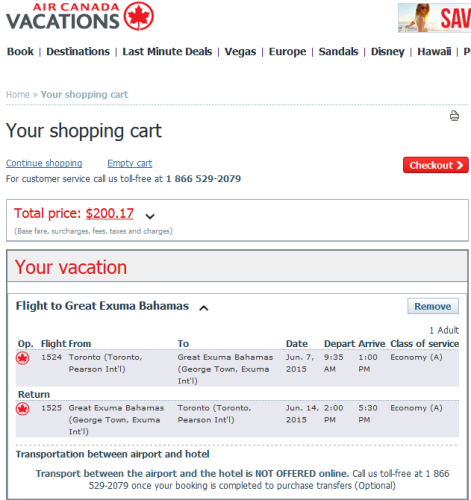 Air Canada Vacations has a very good airfare deal for travel to Great Exuma in the Bahamas. 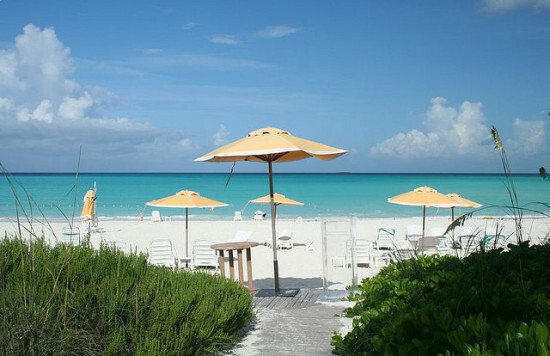 These fares are not that flexible and require a week stay and you must book on Air Canada Vacations. Book on Air Canada Vacations. Select Flights and enter the dates from above to find this.